The sequel took a while, but as they say, better late than never!﻿ So here's my second installment of some of the best things I have ever had. Additionally, I have come to realize that, through this series I would like to narrate some of the memorable experiences from my travels, wanderings and restaurant-outings. If you love trying different cuisines and are in the Boston area, then you I would highly recommend you to try this place. We had one of the unique dining experiences at ‘Toro Salao’ in Old San Juan, Puerto Rico – alfresco and beneath the stars! I remember we tried the Spanish chilled veggie soup – Gazpacho, Chicken Paella (aka biryani) and finished off the meal with Churros! Churros are soft balls of dough, deep fried and then sprinkled with cinnamon-sugar. You savor them as-is or dip in the warm chocolate sauce. 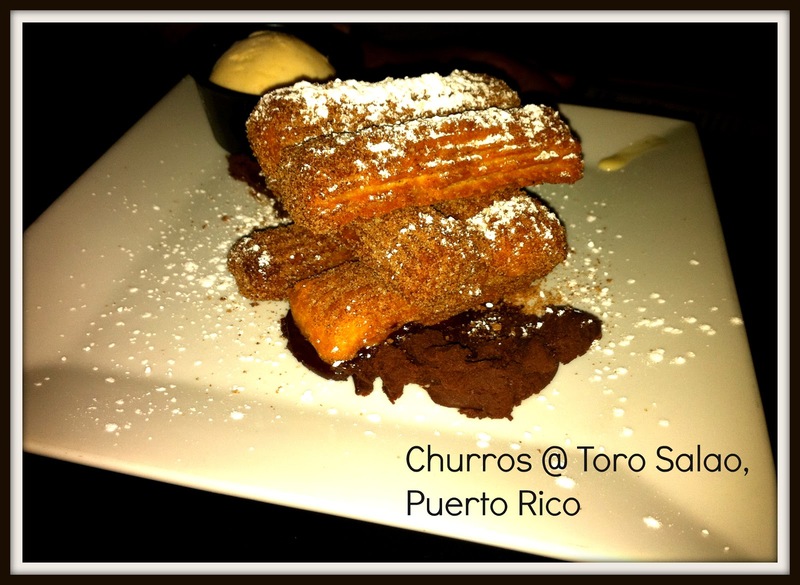 In any case, the churros were ‘mucho delicioso’! 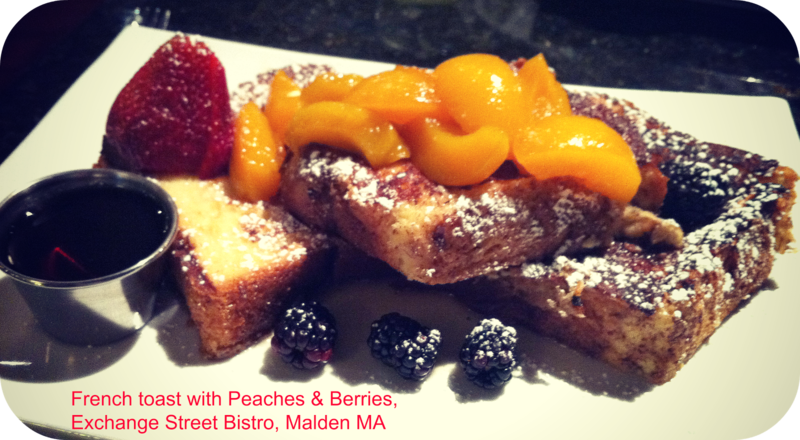 What could be more fantastic Sunday than having a warm French toast with fresh berries and peaches for brunch? And if you happen to get this comforting breakfast at a walking distance from your home then, I would say it’s your lucky day! Well, it was my lucky day for sure, one beautiful 'Boston-summer' Sunday! Exchange Street bistro was a classy restaurant in our neighborhood (in Boston)and though we never dined there, I will always remember the sophisticated brunch we had! 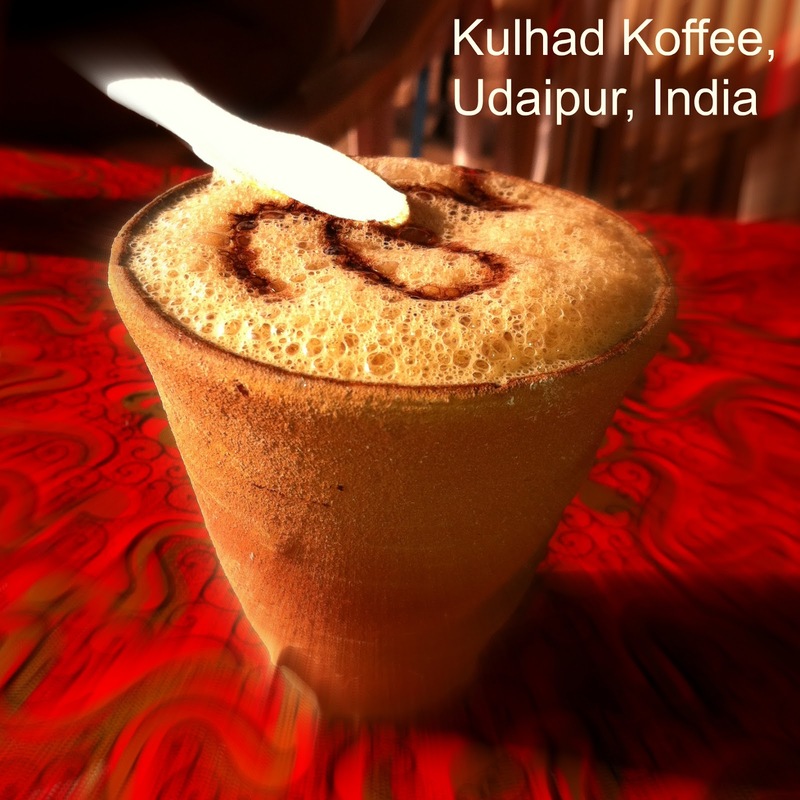 On our trip to Udaipur in Jan 2012, the ‘Koffee in Kulhad’ was an experience in itself! The coffee was no doubt delicious, warm, sweet and milky – just the way coffees are made in India. But the best part was the 'kulhad' (earthern coffee cup) which enhanced the coffee flavor like 100 times. With the backdrop of scenic Lake Fateh Sagar, in Udaipur, I would say it makes as a perfect spot for memorable ‘coffee conversations’! Bhel-puri is rice puff snack that you get on the streets of Mumbai or any other city in India. It’s usually made fresh in front of you by ‘Bhaiyya’ (street vendor) and wrapped in a cone of newspaper ready for you to devour in as you sit by the 'Marine drive' or choose to eat it as you travel in the crowded local train compartments. So you can guess my surprise when bhel-puri was served to me in such a glossy way! 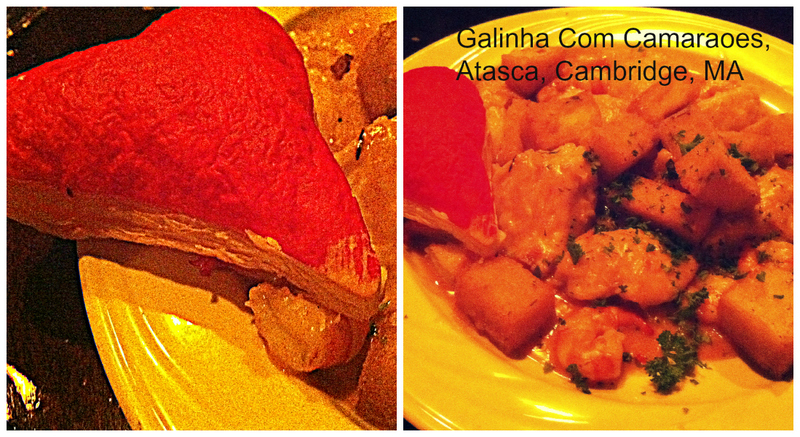 Well nonetheless, I loved the presentation and the spicy-tangy taste wasn’t compromised at all. This was our bar-snack while we sipped on Indian-flavor infused drinks at 'Indique Heights'. ‘Indique Heights’ has a unique ambience and serves great quality Indian food. 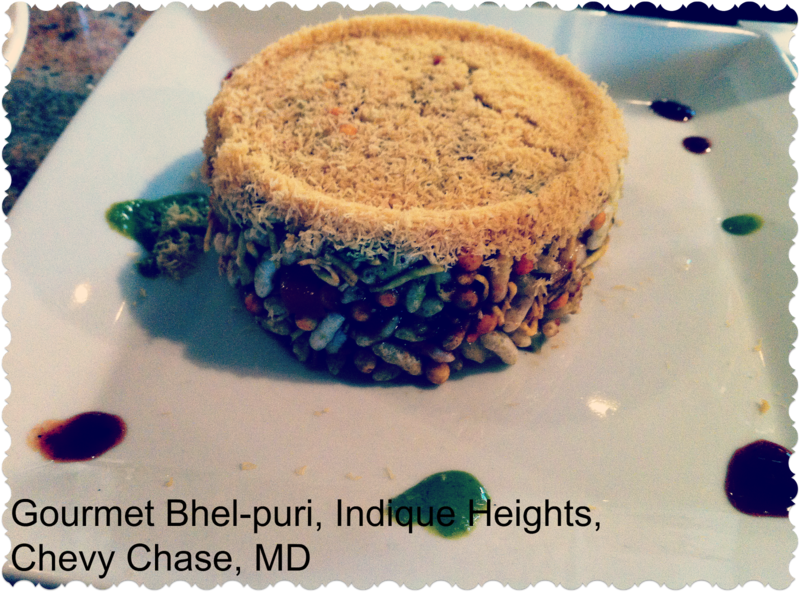 If you are in the Washington DC area, it is highly recommended for an Indian-dinner outing. P.S. 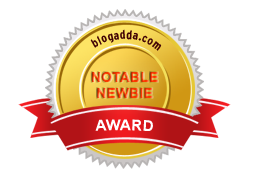 : I have been thinking of changing the blog's look for some time now and finally on the notable date of 12/12/12, the blog went through a make-over! I was aiming for a more 'neat-n-clean' look here; I hope I have done justice to that. I would absolutely love to know any feedback or suggestions from a reader's perspective. Do drop a comment below! Love the new look of your blog. I'm planning to do a Header makeover too. Could you help me?? How do I do it? I love seeing pictures of food, makes me drool. Also amazing pictures, what a mouth watering post! Sparkle your way through the Holidays!